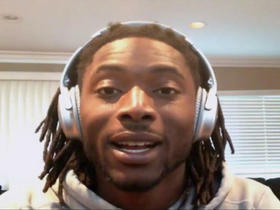 The Rams extended a second-round tender to Littleton on Tuesday, Myles Simmons of the team's official site reports. Littleton recorded 12 tackles (11 solo) during Sunday's 26-23 overtime win against the Saints. Littleton had 10 tackles (seven solo) in Sunday's 30-23 loss to the Eagles. Analysis: Littleton reached double-digit tackles for the first time since Week 7, though he continues to lead the team with 112 tackles (80 solo). The 25-year-old also has four sacks and an interception in his first season as a full-time starter. 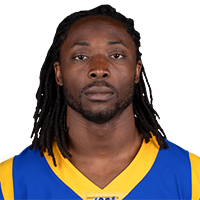 Littleton recorded eight tackles (seven solo) in the Rams' 54-51 win against the Chiefs on Monday. Analysis: Littleton was able to suit up for 100 percent of the defensive snaps and 26 percent of the special teams' snaps Monday. He continues to swarm to the ball with an 8.3-tackle-per-game average this season. The Washington product should continue to be a strong IDP candidate following the Rams' upcoming bye week. 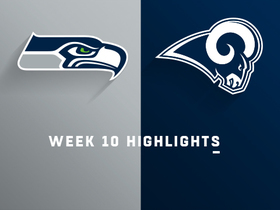 Littleton recorded nine tackles (six solo) and one pass defensed across 67 defensive snaps in Sunday's win over the Seahawks. Analysis: Littleton continues to be a driving force on the Rams' defense, as his season-tackle count climbs to 84 -- third most in the league. 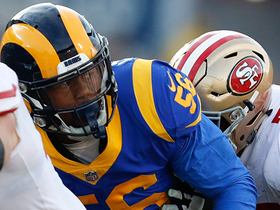 The second-year man was once again on the field for 100 percent of the Rams' defensive snaps Sunday, a recurring trend this season that warrants him an ideal IDP candidate. Littleton recorded nine tackles (seven solo) across 71 defensive snaps in Sunday's loss to the Saints. 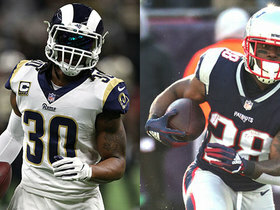 Analysis: Littleton tied for the team lead in tackles Sunday, playing in 100 percent of the defensive snaps -- the only Rams' linebacker to do so. He now has at least eight tackles in seven games this season and a season total of 75. 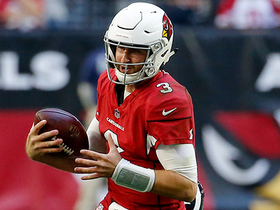 Arizona Cardinals quarterback Josh Rosen finds running room and takes off for a 16-yard gain. 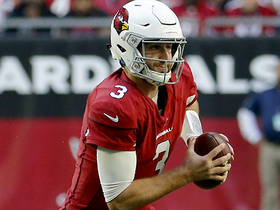 Arizona Cardinals quarterback Josh Rosen uses his legs and takes off for a 15-yard run. 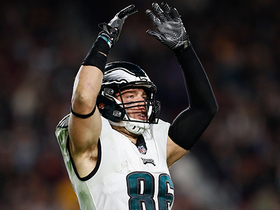 Philadelphia Eagles tight end Zach Ertz reaches 100 receptions in a season for first time in career. 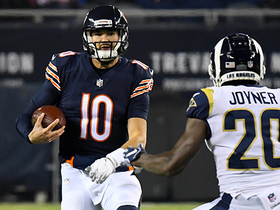 Chicago Bears quarterback Mitchell Trubisky keeps it on his first snap since his injury. 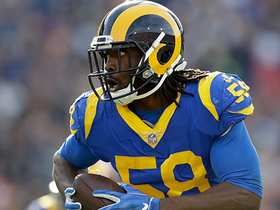 Los Angeles Rams linebacker Cory Littleton joins "Up to the Minute" to talk about winning the NFC West, playoff seeding, defensive tackle Aaron Donald's MVP-caliber season and more.